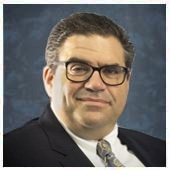 Mr. Weber, a battle-tested executive with over 30 years experience in finance, accounting, banking, risk management and real estate; is the Chief Financial Officer for Devon International Group. Mr. Weber brings his vast experience in financial discipline, process improvement, and high performance team building to the company. Prior to joining the Devon International Group, Mr. Weber was the VP of Budgeting, Compliance and Cash Planning for O’Neill Properties Group, LP, a leading privately owned real estate development company that specializes in identifying and acquiring abandoned or underutilized industrial sites, remediating and transforming them into high-quality, Class A commercial space or luxury multifamily live, work, and play communities. Other previous work experience and accomplishments included over 7 years with Royal Bank America, a regional community bank with assets of approx $1B. Served in various capacities with Royal Bank America; including as the Senior Vice President of Real Estate Strategy and Chief Risk Officer. Mr. Weber received his Bachelors in Accounting from Penn State University.